1.2- The "Buyer" shall mean any person, firm, company or organisation to wich goods are sold by the Company. 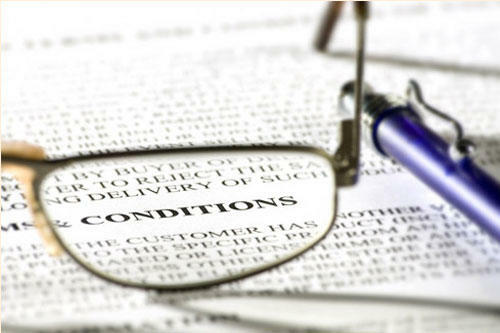 1.3- The fallowing terms and conditions apply to all transactions and an order will be deemed to be acceptance of such terms and conditions. 2.1- Buyer orders and agrees to purchase, and the Company agrees to sell the Goods, subject to these Terms of Conditions. 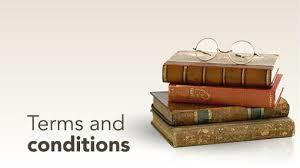 2.2- No variation or modification of or substitution for these Conditions(even if included in or referred to in the document placing the order) shall be binding unless specifically accepted by the Company in writing. 2.3- Seller does not advise on suitability. No warranty, implied or explicit attaches to the guidance we may give. Buyers must take independent advice on suitability for any given environment. 2.4- The Company at their discretion can provide estimates of Goods but this will be based on general guidance only and the Buyer should rely on this estimate. It shall be the Buyers responsibility to ensure they have ordered the correct quantity of goods and the Company shall not be responsible for any shortfall or surpluses. 2.5- It shall be responsibility of the Buyer to check and ensure that all details relating to the order are correct and provide the Company with relevant information relating to the environment in wich the goods are intended to be used and for their delivery. 3.1- Unless previously amended or withdrawn, the Company's quotation is valid for 7 days only. The Company's quotation is not an offer but merely an invitation to the Buyer to make an order for Goods under these conditions. 3.3- If the Buyer receives a notice pursuant to change in the Price the Buyer shall be entitled to cancel the order without penalty by giving not less then 2 working days notice to the Company in Writing. 3.4- If an order wich has been accepted by the Company any costs, losses, or expenses properly and reasonably incurred or suffered by the Company as a result of the cancellation or variation. 4.2 Prices exclude VAT and delivery charges. 4.3 Orders can only be accepted subject to these Conditions and that Goods will be invoiced at Prices ruling on the date of payment. 4.5 For all orders, Payment must be received in full or payment must reach into the bank account of the Company (cleared funds) prior to dispatch of the order. 4.7 Special orders must be paid in full and once ordered are not retractable. 4.8 Any Goods purchased; clearance items or special offer are sold as seen and the onus is on the Buyers to satisfy themselves as to the quality at the time of purchase. No refunds/exchanges will be available for these goods. 5.1 All descriptions, images, (in both print and on the internet) advertising and specification are for purposes of giving an approximate representations of the goods only and their accuracy cannot be warranted by the Company. 5.3 (a) Buyers who order from the TRAVERTINE RANGE, i.e. "Honed & Filled" must accept the following natural occurrence; cavities found on the surface, not those inside are filled with compound at the factory. After installation, those cavities that are just underneath the surface may appear due to wear and tear. These internal cavities may appear in no specified time i.e.3 months, or 3 years which may not be controlled or prevented. 5.4 The sample is supplied within the Company's tolerance limits of size, texture and colour variation. The Company cannot guarantee to match shades of the samples presented or any previous orders supplied. 5.5 The Buyer acknowledges that natural stone maybe porous to some degree and should be sealed. The Buyer also acknowledges that some Goods may easily be scratched and/or be subject to naturel pitting/chipping. 5.6 Stone delivered to site must be stored securely in suitable conditions. Tiles must always be stacked and stored vertically (on edge) but not on hard surface as this can cause unnecessary edge chipping. 5.7 The company strongly suggest that all tiles are blended before installation. The installer must have an understanding of blending requirements or special patterns as part of the skills. 5.8 Buyer should always consider wastage on each project before ordering, for instans minor damage to some stones wich may occur during transportation or during site handling , site cutitng and grading. 5.9 An order should always include and additional minimum 10-15% to alow for wastage to cover, cutting minor imperfections and breakage. 5.10 Whilst sorting tiles to ensure suitable blending, normal practice calls for segregation of tiles with minor damages or some unusual markings. They can be used where cut tiles are required, or in less visible locations. Natural stones is particularly susceptible to colour and tonal variations from batch to batch. 6.1- Delivery charges shall be paid by the Buyer and will vary dependent on size, weight and distance from the Company's warehouses/suppliers. 6.2- Ant dates quoted for delivery of the goods are approximate only and seller shall not be liable for any delay in delivery of the Goods however caused. The Goods may be delivered by Seller in advance of the quoted delivery date on giving reasonable notice to Byer. 6.3- Where the Goods are to be delivered in instalments, each delivery shall constitute a separate contract and failure by the Company to deliver any one or more of the instalments in accordance with these Conditions or any claim by the Buyer in respect of any one or more instalments shall not entitle the Buyer to treat the Contract as a whole as repudiated. 6.4- Delay due to circumstances outside the control of the Company shall not entitle the Buyer to cancel any order or refuse delivery. 6.5- The Goods will be of-loaded at the nearest accessible point to the delivery address at the discretion of the driver, wich may be kerbside. 7.1- The Company takes care to ensure all Goods leave in good condition. All goods are dispatched with a plastic covering. If this plastic cover has been tampered with in any way, please do not accept the delivery of the goods and report to the Company immediately. 7.2- Goods delivered to the Buyer must be checked immediately upon delivery and any damages/shortages/incorrect items must be recorded on the delivery note of the transportation company. Delivered not a marked "unchecked" or failure to record damage will be deemed as acceptance as no damage and no shortage and Company will not accept any claim thereafter. 7.3- Take digital high definition photo of the damaged items and forward to us with a written statement of damages within 24 hours as this will enable the Company to claim against the carrier. 7.4- If confirmed and accepted by the Company, shortages, damaged and incorrect deliveries notified to the Company, wherever possible will be remedied with in a further 14 working days subject to availability. 7.5- The Company reserves right not to replace damaged tiles if the total amount is less than 5% of the total order. 7.6- The Buyer shall deem to have accepted the Goods, if the Goods have been fitted/fixed or attempted to fit/fix to a wall or floor. 8.1 In the unlikely event that the Buyer is unhappy with the Goods supplied, the Buyer has the statutory right to cancel this contract within 7 working days of the delivery (except for those orders which were specifically made). The Buyer must arrange and return the Goods to the Company and the purchase price will be refunded on confirmation that the Goods are in the same condition as delivered. Any Goods found to be damaged on the return shall be deducted from purchase price. 8.2 No returns will be accepted after 7 working days unless the goods are visibly damaged or confirmed defective by an Independent Tile Expert. In exceptional circumstances, Goods may be accepted for credit and where such consent is given a minimum re-stocking fee of 20% of the Price of the Goods will be charged plus any delivery charges where applicable. 9.1- Risk of damage to or loss of the Goods shall pass to the Buyer upon delivery. 9.2- Notwithstanding delivery and the passing of risk in the Goods, or any provision of these Conditions, the ownership in the Goods shall not pass to the Buyer until the Company has received full payment or by way of cleared funds in full of the price of the Goods. 10.2 Seller shall be under no liability under the above warranty (or any other warranty, condition or guarantee) if the total price for the Goods has not been paid by the due date for payment. 10.4 The Seller gives no undertaking that the Goods supplied are fit for any particular purpose and the Buyer having greater knowledge of their own requirements relies entirely on their own skill and judgement in evaluating the suitability of the goods for the purpose. 10.5 A claim by Buyer which is based on any defect in the quality or condition of the Goods or their failure to correspond with specification shall (whether or not delivery is refused by Buyer) be notified to Seller within 48 hours from the time of delivery. If delivery is not refused, and Buyer does not notify Seller accordingly, Buyer shall not be entitled to reject the Goods and Seller shall have no liability for such defect or failure, and Buyer shall be bound to pay the price as if the Goods had been delivered in accordance with the Contract. 10.6 Where the Goods have started to be fitted or have been fitted in the majority or totality this is deemed as acceptance of the product supplied and no claims will be accepted. 10.7 The Buyer acknowledges that it places no reliance whatsoever on any advice given by the seller in relation to the suitability, fixing or other installation of the goods. 11.1 If any provision of the Contract is held by a court or other competent authority to be invalid or unenforceable in whole or in part, validity of the other provisions of the Contract and the remainder of the provision in question shall not be affected. 11.2 Any dispute arising under or in connection with the Contract or the sale of the Goods shall be referred to arbitration by a single arbitrator appointed by agreement or (in default) nominated on the application of either party by the President for the time being of The Association, in accordance with the rules of the Association. 11.3 The Contract shall be governed by the laws of England, and Buyer agrees to submit to the non-exclusive jurisdiction of the English courts.